A new world record conversion efficiency for cadmium-telluride (CdTe) solar photovoltaic cells was recently achieved by researchers at First Solar’s Research & Development Center in Perrysburg, Ohio. The new record of 21.5% efficiency was verified and certified at the Newport Corporation’s Technology and Applications Center PV Lab — and keeps the solar developer on track with regard to its current research and development roadmap. Its worth noting here that the processes and materials used in the creation of the new record-setting solar cell are all “suitable” for commercial-scale manufacturing, according to First Solar. 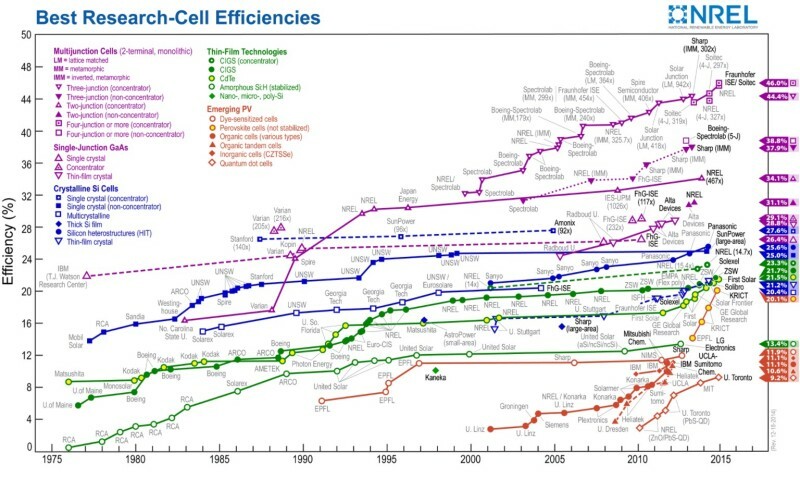 The new record represents the 8th notable update to the CdTe cell record efficiency since 2011 — demonstrating the rapid improvement seen in the technology over the last few years… which has been overwhelmingly driven by First Solar. On a related note, First Solar also recently made the announcement that its commercial solar modules passed Atlas 25+ certification — across all parameters: power output; insulation resistance; and visual damage; in the hot/arid, subtropical, temperate and composite climate simulations.